Hi! and Happy New Year! we have some fresh news for you. 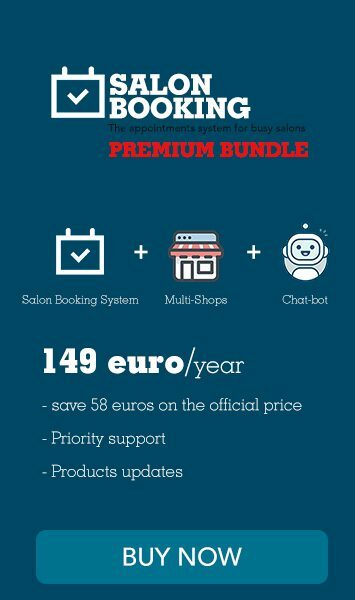 We’ve just release a new version of Salon Booking 3.18 where we have fixed some bugs and improved the plugin code for a better management of our add-ons. The great news is the new version of Square payment method and POS official add-on where we’ve implemented the support for the Square Point of Sale iOS app. This means that those of you that already are using Square Point of Sale iOS app at your shop now you can process bookings payments on site using Salon Booking trough Square Point of Sale iOS app. For those that have already purchased the Square payment method and POS add-on for Salon Booking this feature is already bundled, you only need to update your current version.